Etnia Originals collection is the one that best represents the values of the brand. Frames full of colour for people of all ages that want to emphasize their creative and original side. In this collection we can find a lot of materials and shapes. From metal to acetate going through the combination of both, Originals proposes original and striking glasses. Furthermore, it is remarkable the presence of colour, both in frames and lenses. Apart from the colour, in this collection we can emphasize prints in some models. Models as Yaletown and Wolselug have details with stripes in the frame. 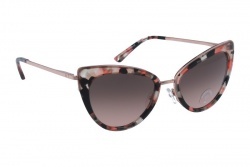 We also have the classic animal print in models as Verdi, Blai, Bonavista or Princesa. This collection brought us glasses for all tastes that will not go unnoticed.